Google recently launched Android M developer preview at Google I/O 2015 in San Francisco. At the conference, Google senior VP of Products Sundar Pichai said the company had "gone back to basics" with this new version of Android. While Android Lollipop introduced a new visual aesthetic, Android M brings some much-needed stability and usability improvements which might not be as eye-catching, but may prove to be significant additions for a while to come. First up, app permissions. As had previously been speculated, app permissions have been overhauled in Android M, with users now being able to choose to accept or deny individual permissions as they see fit. Permissions have also been simplified. Android M makes use of a new function known as Doze to improve device standby time. By using motion detectors, Android will recognize when devices haven’t been interacted with for a while, such as when a person is asleep or a device has been left on a table, to reduce background processes. Google will "standardize support" for fingerprint scanners on phones running Android M. The new functionality will allow fingerprint scanners to be used not only to unlock phones, but to make purchases shopping in real-life or within Play Store apps. Google has been exploring trends in the way web content is consumed to provide a better user-experience when interacting with websites and apps. "Chrome Custom Tabs is a new feature that gives developers a way to harness all of Chrome's capabilities, while still keeping control of the look and feel of the experience," said Burke. "When a user selects a weblink from somewhere, Android doesn't know whether to show it in a web-browser, or some other app that claims support for the link," this was the problem facing the Google developers before Android M.
Android Pay is Google's new mobile payments system designed to make the checkout process easier and faster. Google is aiming to provide "simplicity, security, and choice," with Android Pay, allowing you to use your existing credit cards to pay for products in more than 700,000 stores in the US. Android M also supports USB Type-C which provides faster charging, and lets users charge other devices with their phone. Possibly the most interesting aspect of Android M not discussed in Google’s I/O keynote speech was Android Auto Backup and Restore for Apps. This feature will be used in conjunction with Google Drive to automatically backup app data and settings with a file size of 25 MB or less. Google has introduced a new RAM manager to Android M with the aim of providing users with more accurate and comprehensible information regarding the maximum and average RAM usage of apps. The menu can be found in Settings > Apps > Options (three dots button) > Advanced > Memory. Though it's a little hard to navigate to, the page offers a far clearer insight into app demands, and the overall effect they will have on your device. Though Google has in the past tried to step away from external storage use. This is the reason why none of its Nexus devices contain a microSD card slot. It appears that Android M is striking a compromise. Buried within the Android M settings is a "Dark theme" option which transforms the menu background to a dark grey color rather than the normal pale shade. Currently this only affects the settings menu, not the app drawer, and its function is purely cosmetic. Still, it looks nice on our Nexus 6 and we hope it gets developed further. One of the most immediately noticeable visual changes to Android M is the new app drawer. This now scrolls vertically instead of horizontally, and is held against a white background, rather than a muted shade of your homepage wallpaper. Across the top of the menu you will see your four most recently used apps, and down the left-hand side are the letters of the alphabet. Google Now has been improved upon once again in Android M. Focusing on three key ares: being aware of different contexts, providing answers and helping you take action, Google Now is now smarter than ever. Chrome is also leaner and faster than ever before. Initially revamped with Android One devices in mind, where stable and speedy internet connections are not always possible, Chrome's new optimizations are set to arrive for everyone. As expected, Google pulled the wraps off its new Google Photos service. Previously a part of Google+, Google Photos is now standalone photo and video storage and sharing service that provides unlimited free storage for up to 16 MP photos and 1080p video. That is seriously impressive. 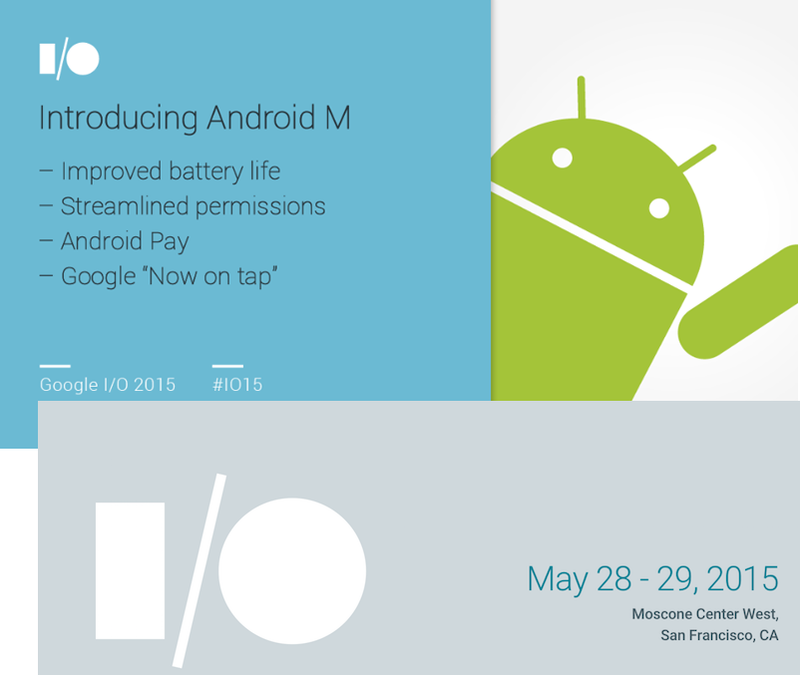 What about Android M release date? Google has made this Android M Developer Preview available for Nexus 5, Nexus 6, Nexus 9 and Nexus Player as of now, and the final version is due to launch in Q3, 2015. Let's see how the Android M floats over the android device market and impacts on device performance, reliability, stability and usability improvements.